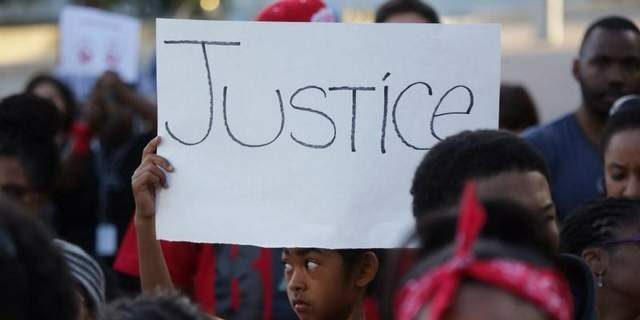 We advocate for criminal justice reform and actively share resources and analysis of the ongoing crisis in policing in the U.S. An independent collective of nearly 2000 sociologists, Sociologists for Justice was founded in 2014 in response to the police killing of Michael Brown and police suppression of community protests in Ferguson, MO. As scholars and advocates who study the various ways that race shape our society and institutions, we are committed to sharing research, facilitating conversations and advancing solutions that promote racial equity and justice. Sociologists for Justice seeks to build a racially just and equitable society through research, education, advocacy and action. By organizing scholars, working with partners, and engaging policymakers and audiences within and beyond universities and colleges, our goal is to share and translate sociological knowledge into solutions that advance equity for people and communities at the margins of society. We promote research, strategies and ideas that seek to dismantle deeply embedded social inequities including race, class and gender-based disparities. We link academics with advocates, policymakers, students, and the media to further understanding of complex systems of inequality, facilitate public discourse, and promote sociologically grounded policy solutions. Everyday, sociologists are engaged in studies of racial inequality including disparities in the criminal justice system, in our schools, and in society more broadly. We believe that there is a strong base of evidence and theory to guide development of solutions to address seemingly intractable social problems. Sociologists for Justice will play an important role in broadening the audience of research on racial inequality to the public and policymakers by identifying, distilling and promoting research findings that can inform public discourse and policymaking. We will share research findings and policy recommendations through publications including issue briefs, op-eds, convenings, and meetings with elected officials. Police killings of unarmed black women, men and gender non-conforming people and the Black Lives Matter Movement have highlighted the need for educational resources to facilitate discussions about race, racism and interlocking systems of oppression. We are developing strategies and materials to help members lead conversations about racial inequality at the campus, department and classroom levels. We value knowledge in different forms and believe that now more than ever, a tremendous opportunity for a multiracial coalition working on shared goals can move the needle on racial inequality in America. We will work with national and community organizations and other partners to learn from and highlight the wisdom of people and communities whose lives are shaped by structural inequality. We will offer our expertise and work with local communities and partners to advance a shared vision of racial justice. By pooling together our knowledge, resources, talent, and passion, we can strengthen the movement for change.We are an independent collective of sociologists troubled by the killing of Michael Brown and the excessive show of force and militarized response to protesters who rightfully seek justice and demand a change in the treatment of people of color by law enforcement. Thank you for doing this! Being at ASA and hearing little from the leadership about this tragedy left me feeling frustrated and alienated. I’m so glad that you all took the initiative. Sociologists for social change!!!!!! YES!